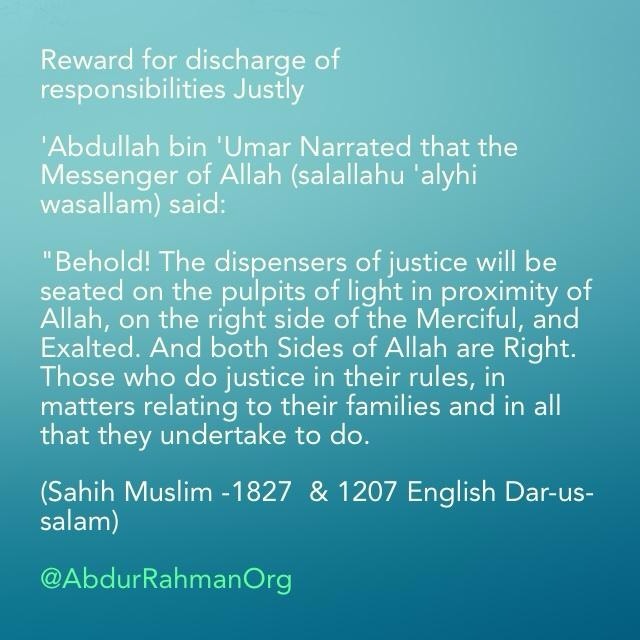 “As for you leaving your homes aiming for the Bait-ul-Haraam: then your she-camel does not place its foot nor does it raise it except that Allaah writes for you a reward due to it, and wipes off one of your sins. As for the two Rakah after the Tawaaf, then it is equivalent to freeing a slave from the Children of Ismaeel. 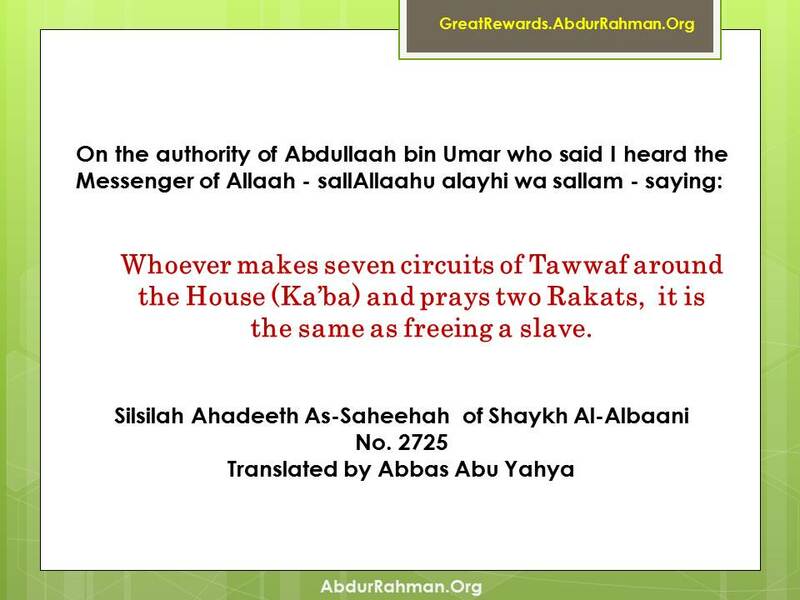 As for your circuiting of as-Safa and al-Marwa, then it is the same as freeing 70 slaves. As for stoning the Jamaar (the pillars), then for every stone that you throw, it removes a big sin from the deadly sins. As for your slaughtering, then it is saved for you with your Lord. 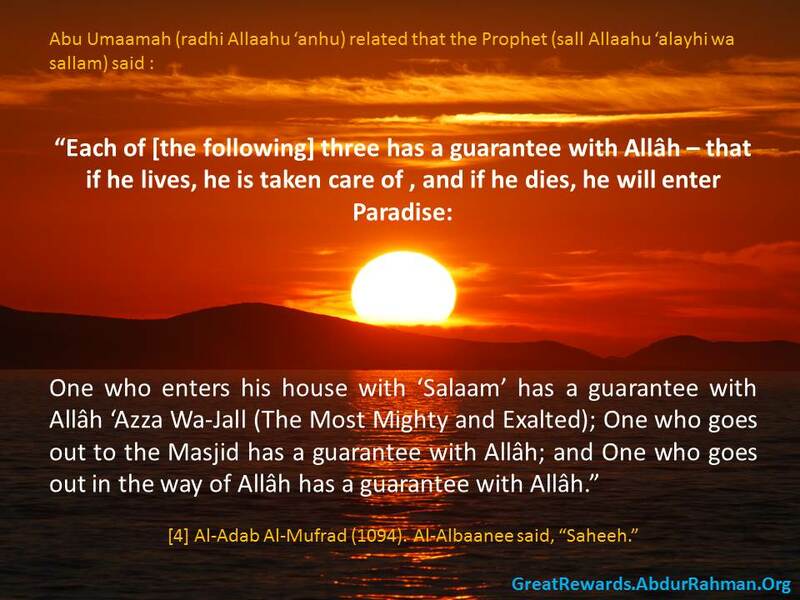 As for shaving your head, then there is a reward for every strand of hair that you shaved, and a sin is wiped off by it. 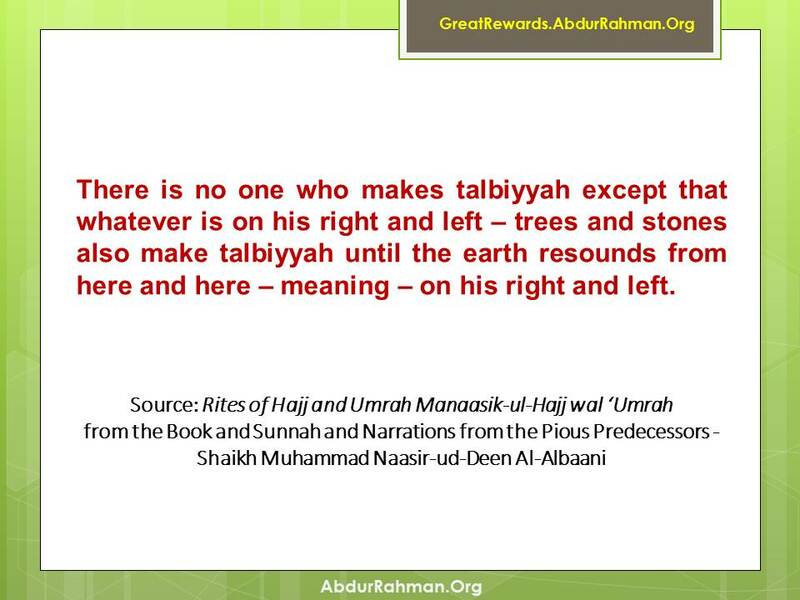 There is no one who makes talbiyyah except that .. 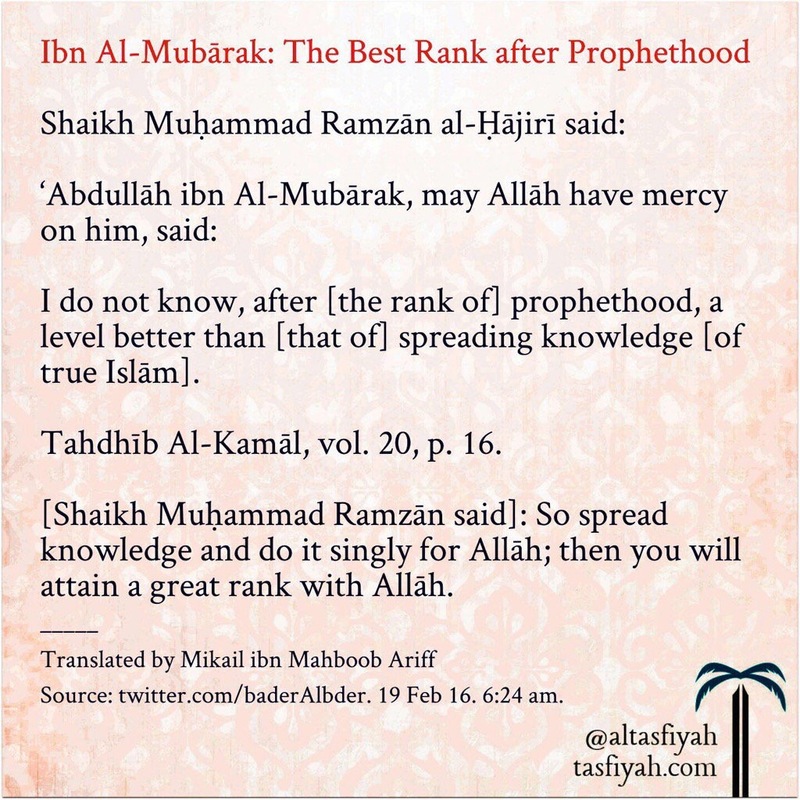 Especially whenever he ascends a high place or descends a valley – according to the hadith which has preceded: “It is as if I am looking at Musa – upon whom be peace – coming down from the mountain pass….loudly reciting talbiyyah” and in the other hadith: “It is if I am looking towards him when he descends in the valley reciting talbiyyah”. 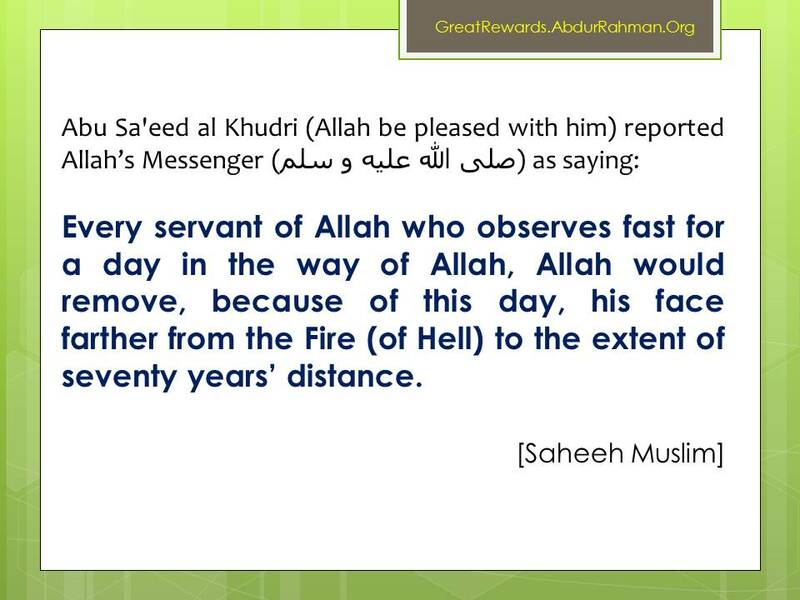 Every servant of Allah who observes fast for a day in the way of Allah, Allah would remove, because of this day, his face farther from the Fire (of Hell) to the extent of seventy years’ distance. 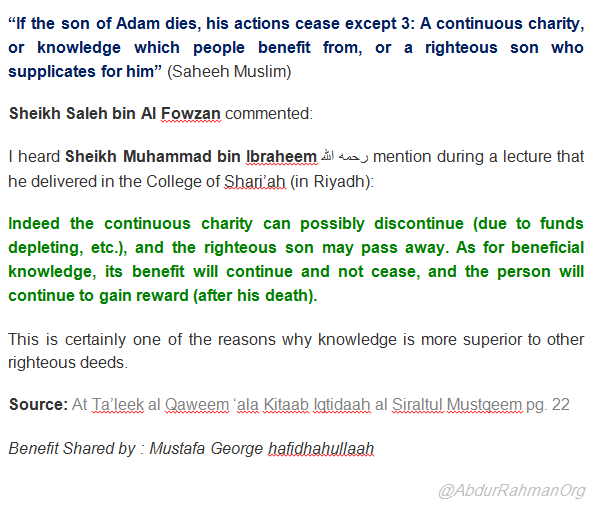 Indeed the continuous charity can possibly discontinue ,the righteous son may pass away but .. 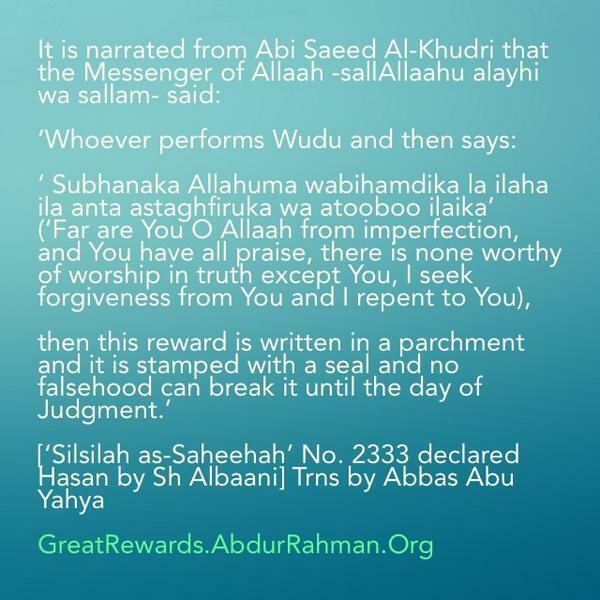 Source : What is Your Intention When you Read the Qur’aan?